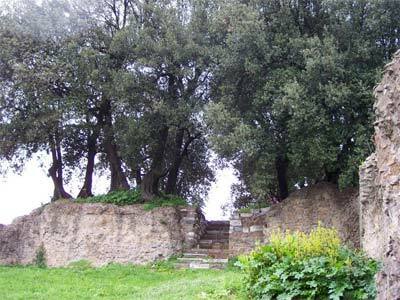 Aedes Magnae Matris: the sanctuary of Magna Mater, closer than ever. 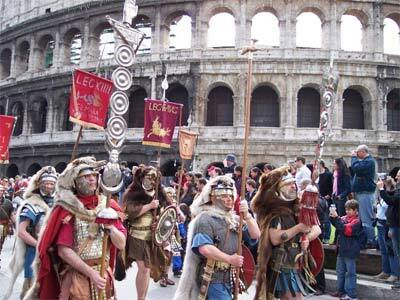 Some Nova Romans were there thanks to a pass by Soprintendenza. 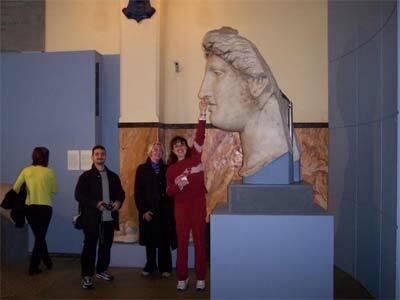 Eventually we have seen the south side. 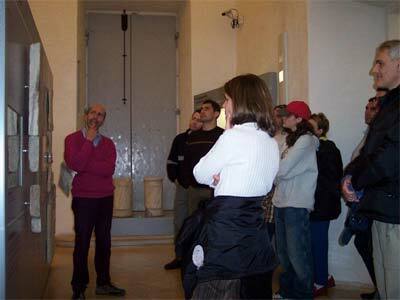 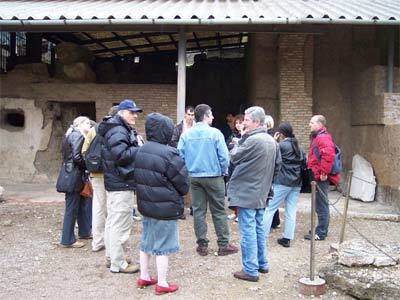 Crypta Balbi: a group of Nova Romans and friends at the Crypta Balbi, in the area of the ancient Theather of Balbus, in the Campus Martius. 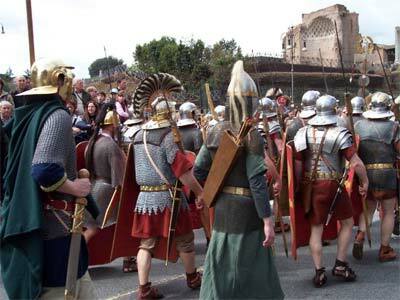 Via dei Fori Imperiali: loricae segmentatae, helmets, shileds and pila. 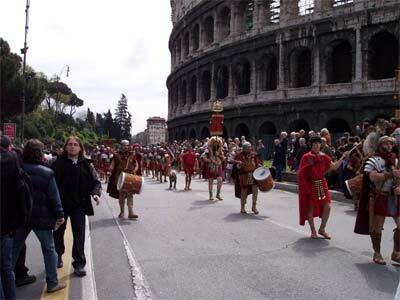 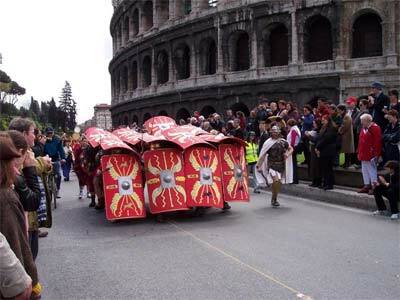 Via dei Fori Imperiali: auxiliary troop. 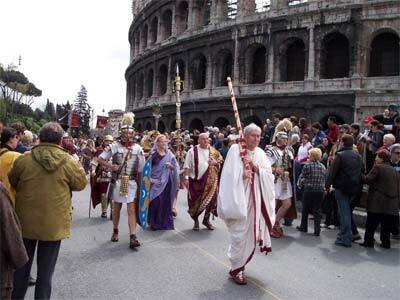 Via dei Fori Imperiali: a lictor leads another group. 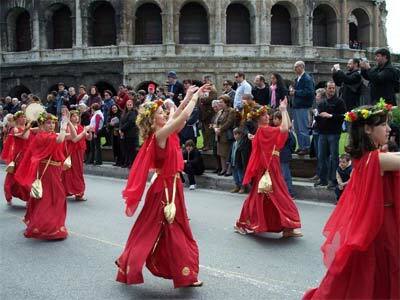 Via dei Fori Imperiali: ancillae singing and dancing. 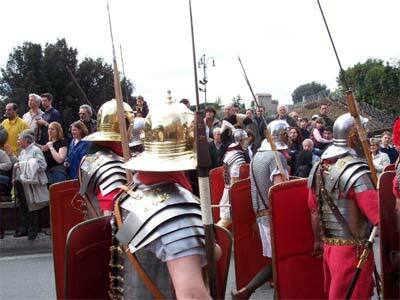 Palatine: Nova Romans respectfully waiting to enter the house of August. 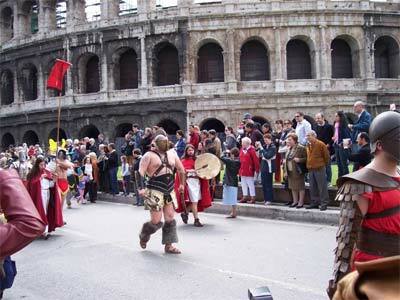 Via dei Fori Imperiali: a brave gladiator, just out of the Ludus Magnus.